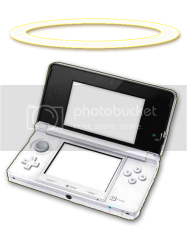 3DSBlessed.com is in big trouble. The domain expires on the 21st October this year. Neither myself nor Cyburn can afford to pay for it to be renewed. That said ; it would be a shame to see the site die. It was founded in 2013, and has been a community stalwart ever since. It’ll cost just £32 to renew it for the next two years. For a person willing to put up that money we are willing to create them an account on the site, through which they can post whatever they want, as often as they want. We mean it. You can also have access to the Facebook page, which has over 100 followers! This site gets about 120 views every WEEK (the most popular being Sunday morning where many pop along for our legendary K.K. Slider article!). The site has had over 100k hits to date. So if you buy in you can be sure your content will get seen. If you know anyone who would be interested in buying into a retro 3DS site please share this with them. Thanks for reading, and for being there for the site over the years.